Gladiator 3 opens the doors to a new sound generation. The unique synthesis technology “HCM” opens up comprehensive listening experiences, its design and the incomparable sound variety make Gladiator not only a great instrument, but also a must-have synthesizer for anyone looking for the ultimate creative tool. 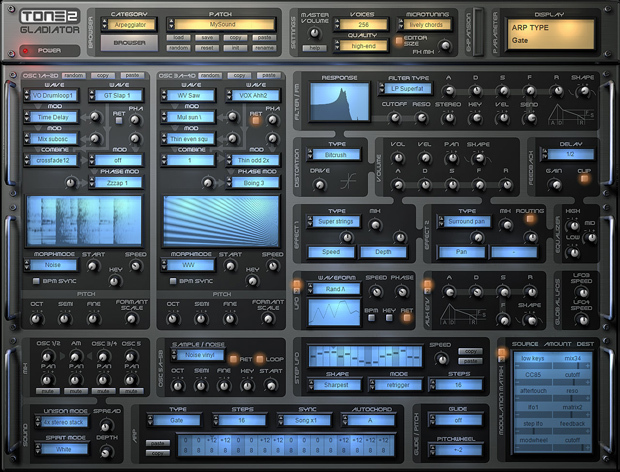 Gladiator is an enormously powerful synthesizer that supports a large number of different synthesis methods. Most synthesizer types can be freely combined to create new and exciting sounds. The award-winning HCM-synthesis is exclusive to Gladiator and not available from any other company. It is based on a wide range of exciting waveforms, wavetables, resynthesized samples, voices and natural sounds. The harmonic structure can be modified with 10 modules and 132 different algorithms to alter the sound. A powerful randomize-function allows the creation of an unlimited number of musically useful and unheard sounds with a single mouse-click! Gladiator supports up to 18 oscillators per voice with stacking, 4x stereo unison and crystal clear sound-quality. Sounds – Gladiator ships with an inspiring library of over 1200 outstanding presets from professional sound-designers. 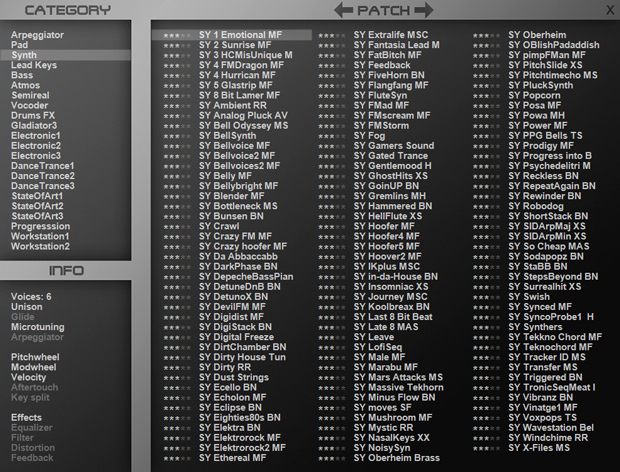 A variety of expansions is available to extend Gladiator’s features and preset library. All sounds are arranged into categories for a quick and easy access to the sound you need. Effects – Gladiator comes with an impressive selection of stereo effects. 37 different units are included, all carefully crafted to offer the highest quality possible, such as Reverbs, Delays, Flanger, Phaser, Chorus, Ensemble, Rotary, Bitcrusher, Talkbox, Ringmod, Dolby Prologic II surround encoding, Waveshaper, Pingpong, Filters and so on. Modulation – Gladiator has a powerful, user-friendly and flexible modulation section. Four fast envelopes add punch to your sounds. There are 22 different LFOs available, which can be synced to your track’s BPM-rate. The Step LFO’s design was inspired by step-sequencers and can be used to create rhythmic sequences and trance-gates. Psychoacoustic processing – A special post-processing module in Gladiator mimics the workings of the human ear. It creates deeper basses and adds transparency. The innovative phase-modifier in the oscillator-section is based on the latest discoveries in phonetic science. It makes a digital waveform sound warm, silky or punchy. Gladiator offers several micro-tuning modes, which make chords sound more harmonic, fat and transparent. 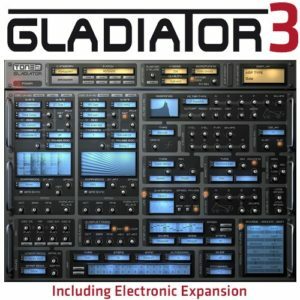 The ‘Electronic expansion’ is a preset and feature expansion pack for Gladiator with more than 300 sounds, new add-on features and additional effects. You can find a detailed list of all updates in version 3 as well as a free demo version of Gladiator 3 under “More info”!